I WILL explain the full significance of the above charts for the Asian and global polyethylene (PE) industries later on this is post. In short here, though, a great deal hinges on next year’s oil prices, with the possibility that there is more momentum left in today’s rally. 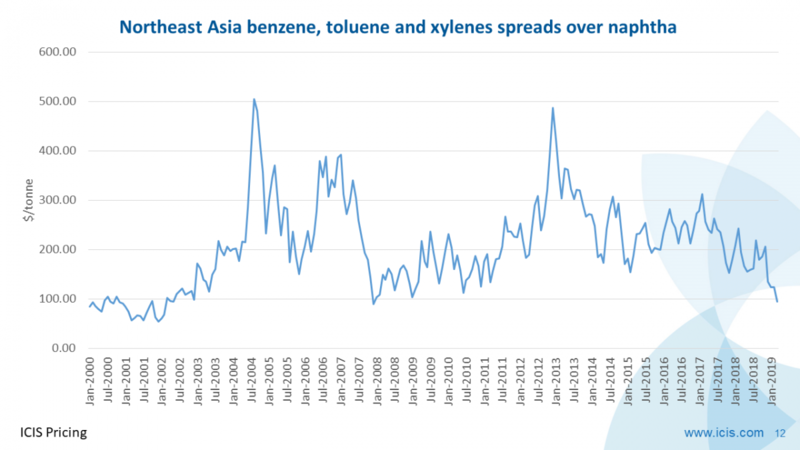 And of course the higher that crude prices rise the lower the lower the profitability for Asia’s naphtha-based PE players. Conventional opinion has it that the new floor for oil prices is $60 a barrel as a result of tighter supply and stronger demand. There is also talk of crude at $70 a barrel or more in 2018. The argument on tighter supply rests on the notion that global inventory levels have declined as OPEC production cuts take increasing effect. The demand side of the story is built on the belief that global economic growth has picked up, and that this recovery is very sustainable. The theory is that this boost to consumption will off-set any loss of demand caused by the approach of Peak Oil Demand. I agree that the facts on the ground have changed over the last three months. This has obviously meant that the sharp fall in oil prices that I had expected by September hasn’t occurred. I also agree that the rally might have some more legs in it yet. $70 a barrel or more next year could easily happen. No rebalancing has taken place in inventories. All that has happened has been a change in the underlying five-year average as time moves on. Absolute OECD stocks remain the same. Only one major change in demand has taken place this year. This is China buying heavily for its strategic petroleum reserves at the rate of 1m barrels a day. But this will come to an end in six months due to lack of storage, according to the IEA. I don’t buy the argument that the real global economy is healthy. The IMF’s recent increase in its global GDP growth forecasts for 2017-2018 were very modest, reflecting the long-term drag on growth being caused by ageing populations and automation. Now, as interest rates rise, there is the threat of major problems from all the debts built-up since 2008. Growth in the West could disappoint many people next year. China’s economy remains a wildcard. Here is a very possible scenario: Xi Jinping accelerates economic reforms in 2018 now that he has strengthened his political position following last month’s 19th National Party Congress meeting. This would exert downward pressure on China’s GDP growth. 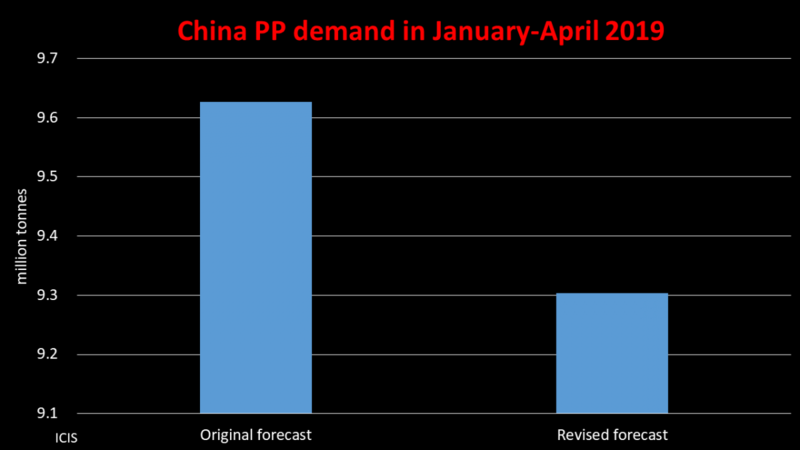 Lower-than-expected GDP growth in China very often dampens oil prices. A major cause of higher crude prices has been record buying by hedge funds, with today’s levels even higher than the previous February 2017 record. The smart money might be to go short in Q1 2018. Why? Because (a) The hedgers have hit record length, meaning that they probably can’t go on much more, (b) China purchases seem to be slowing and (c) US shale production is ramping up. This is reflected in US oil/product exports. They are now averaging 7m barrels a day versus 4.5m barrels a day two years ago and 5m barrels a day this time last year. Still, though, as I said, this rally might have some more legs in it. The current OPEC policy of reducing production in an effort to bolster prices looks set to be extended from March next year until end-2018. Crucially, this extension of the cuts has won the backing of Saudi Arabia’s very influential Crown Prince, Mohammed bin Salman. The Crown Prince’s political influence seems to be on the rise following the news that Saudi Arabia has launched an anti-corruption campaign, which is being led by the prince And whenever there is political turbulence in the Middle East crude tends to strengthen. The anti-corruption campaign might have exactly this effect. 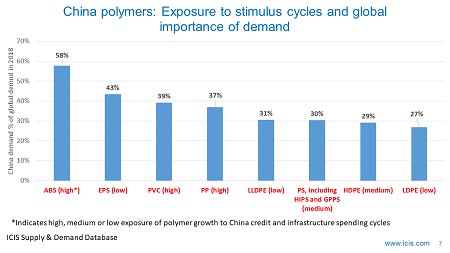 The charts at the beginning of this blog post show spreads between China CFR injection grade high-density PE (HDPE) and propylene, butadiene, benzene and xylenes prices (see my note at the bottom of this post more details on the methodology). What I haven’t included are our estimates of production costs and money that an Asian cracker operator would also make from selling merchant ethylene and fuel-type co-products. 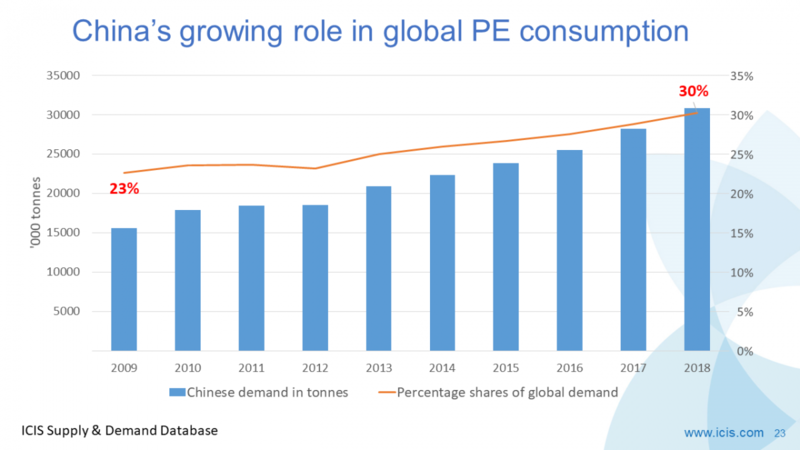 But what the chart on the left clearly tells us is that since 2000, and very probably before then, producing and selling commodity grades of PE has just been a way of solidifying ethylene so you can sell ethylene and ship it economically. Injection grade HDPE is a commodity grade. The chart on the right shows that this business only starts to make real sense if you add in money made from co-products. 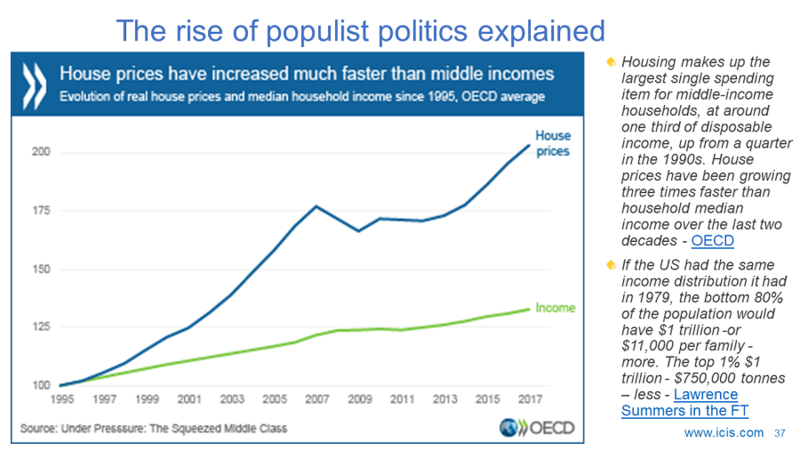 What both charts have in common is that the 2003-2008 and 2009-2014 periods were very bad for the industry. 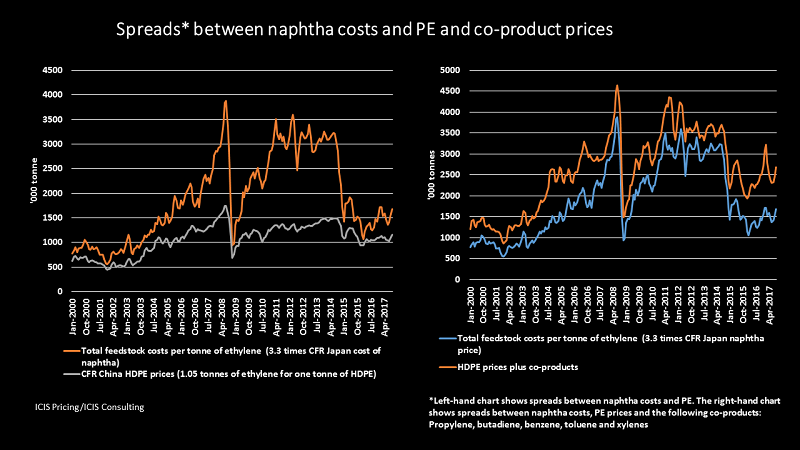 Very high crude led to very high naphtha feedstock costs. Margins were squeezed as the increased costs could not be passed on to customers. What these charts also say is that since oil prices and so naphtha costs fell since 2014, PE and co-product prices have held up very well. This has greatly boosted profitability. Clearly, therefore, if oil prices do remain in the region of $60 a barrel or go higher margins will be reduced in 2018. 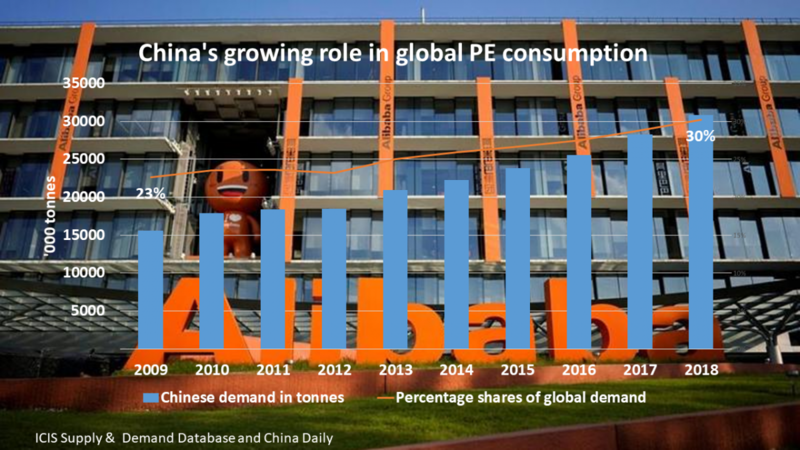 Further pressure on profitability will be exerted from all the new US PE capacity due on-stream. What if crude were to collapse again? 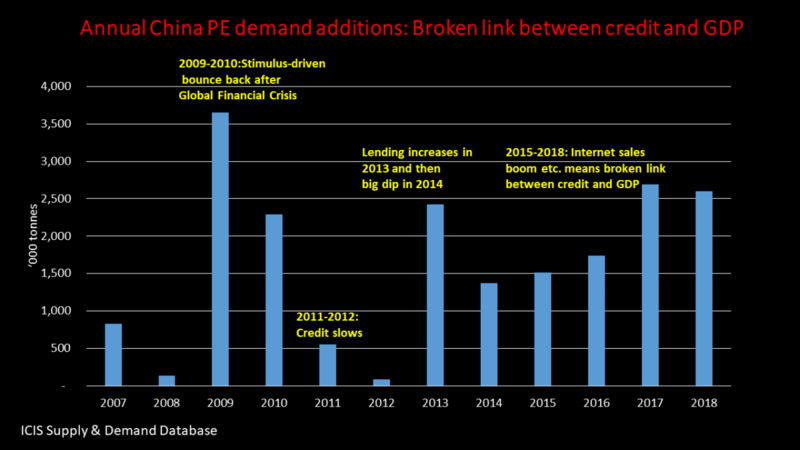 The issue might be what this would say about the global economy as all the new US PE supply hits the market. This might limit any upside to naphtha-based PE profitability. Note on methodology: Naphtha crackers require around 3.3 tonnes naphtha to make one tonne ethylene, with approximately one tonne of ethylene making one tonne of PE. 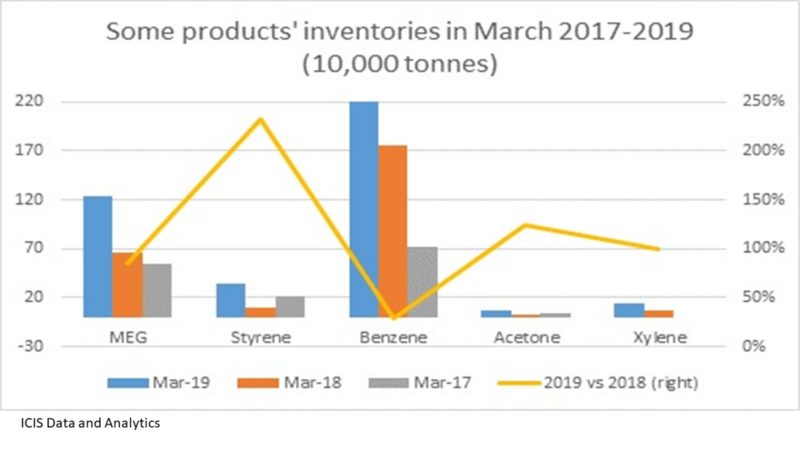 The 3.3 tonnes of naphtha also makes approximately 0.52 tonne propylene, 0.33 tonne of C4 olefins, 0.75 tonnes aromatics, plus some fuel-type products.